The August Smart Lock Pro is our favorite smart lock—it integrates with most smart home hubs, gives you smartphone control, and installs easily. 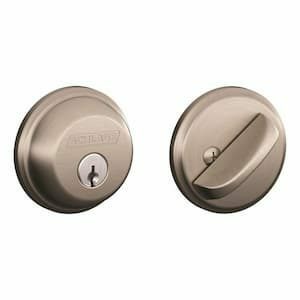 If you’re looking for a budget-friendly standard deadbolt, we like the Schlage B60N deadbolt with its reinforced strike plate and extra-long screws. Keep reading to see our top picks for every type of door lock to meet any need. Data effective 4/16/2019. Offers and availability subject to change. *Standard retail prices as of 4/16/2019. Prices and availability are subject to change and may vary by retailer. Dimensions: 3.4 x 3.4 x 2.2 in. The August Pro works with Siri, Alexa, and Google Assistant, as well as Nest, SimpliSafe, Wink, Samsung SmartThings, and more. The August Smart Lock Pro’s auto-unlock feature detects your phone as you approach and unlocks the door, then locks the door when you leave. Taking it a step further, the DoorSense technology determines whether the door is actually closed before locking it and alerts you if it’s not. Keep in mind that August smart locks use your existing deadbolt, so you’ll need a sturdy deadbolt. The August Smart Lock Pro is everything a smart door lock should be—easy to install, convenient to use, and widely compatible with home automation and security systems. To use the August with Wi-Fi and smart home technology, you need the August Connect, a bridge device that’ll cost you around $60. You can save a bit of money if you buy the Connect and the Pro together. >>Learn more: Check out our full August Smart Lock Pro review or see our best smart door locks list for more options. 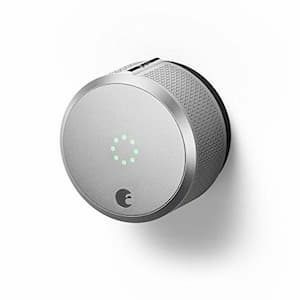 ASecureLife’s recommendation: We prefer the August Smart Lock Pro to the second and third generation locks because with the Connect, the Pro connects to Wi-Fi, Bluetooth, and Z-Wave, and it connects to more smart home and security systems. Door thickness: 1 3/8 to 1 3/4 in. 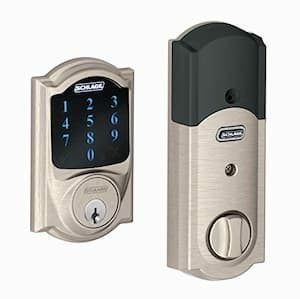 Although new to the market, the Schlage Encode Smart Wi-Fi deadbolt has impressive features and Schlage’s solid reputation behind it. A Wi-Fi connection is built into the deadbolt, giving you smartphone access from anywhere without a bridge. You can even control the lock with your voice through Alexa or Google Assistant. The Schlage Home app or the Amazon Key app lets you manage up to 100 user codes, so everyone in your household, plus guests, can access your house as long as they have an active code. The touchscreen is fingerprint resistant to prevent anyone from guessing your codes by studying which numbers have smudges, and a built-in alarm will sound if it detects tampering. The Encode even works with Ring products. >>Learn more: For more information about Schlage locks, check out our Schlage locks review. ASecureLife’s recommendation: We ranked The Encode above many other smart door locks not only because the Wi-Fi connection is built in but also because the Encode has a higher security rating. Plus, with up to 100 individual user codes, the Encode is ideal for rental properties or Airbnb. The Schlage Connect doesn’t have Wi-Fi or Bluetooth connectivity, so you can’t control the lock with your smartphone unless you have other Z-Wave devices. With that connection, it can communicate with any other Z-Wave compatible smart home products from brands like Samsung SmartThings, Wink, Nexia, Ring, Alexa, and Google Assistant. The Schlage Connect holds up to 30 user codes and has three built-in alarm settings to alert you of any activity at the door. You can lock the door by pushing a single button (no need to enter a passcode), and a backup key is included just in case. ASecureLife’s recommendation: Some customers report problems with this lock in extreme weather conditions like high humidity or extra cold temperatures. Beyond that, with its secure deadbolt and home automation connectivity, the Schlage Connect is great for anyone with a home automation system already in place. Door thickness: 1 3/8 to 2 in. Like the Schlage Connect, the Kwikset SmartCode 916 doesn’t have Wi-Fi capabilities, but it does connect to Z-Wave or Zigbee depending on the model you choose. So you can still make the SmartCode 916 part of your smart home and control it from your smartphone. 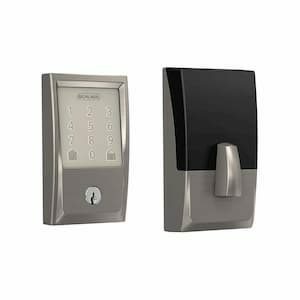 The SmartCode 916 holds up to 30 user codes, allows one-touch locking, and automatically locks the door after 30 seconds. 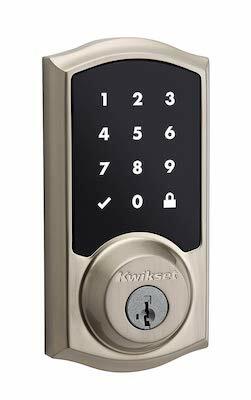 Kwikset’s SecureScreen technology asks you to touch two random numbers before entering the correct code numbers. That way, it’s harder for a burglar to guess your passcode based on fingerprints. ASecureLife’s recommendation: We love the extra security features and recommend this door lock for anyone with a home automation system in place, particularly one that uses the Zigbee protocol exclusively. Dimensions: 3.5 x 6.3 x 7 in. 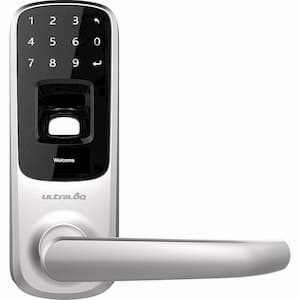 The Ultraloq UL3 BT unlocks with a fingerprint reader, numeric touchscreen, or mechanical key. It also works with Bluetooth so you can access it through your smartphone, which you can’t do with many other biometric locks. You can even shake your phone (Android) or knock on your phone (iOS) to unlock the door. Although Ultraloq doesn’t integrate with other home automation devices directly, it does work with IFTTT. Through that service, the lock works with your smart home. Uniquely, the Ultraloq has an Anti-Peep Password feature for numerical passcodes. You can unlock the door by pushing a string of random numbers as long as the correct passcode is in there, preventing an intruder from guessing the code from the fingerprints. ASecureLife’s recommendation: The Ultraloq has an IP65 rating, so it’s waterproof and dustproof and works indoors or outdoors. And with so many ways to access the door without a physical key, the Ultraloq is ideal for businesses or rental properties. Door thickness: 1 1/2 to 3 1/10 in. 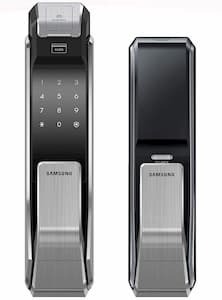 The Samsung SHS-P718-LMK is a high-tech, heavily secure biometric smart door lock, but that means it also costs more and involves a complicated installation process. One extra security feature we like is that before entering a touchscreen passcode, you’ll be prompted to push two random numbers first. This prevents thieves from guessing your code by seeing which numbers have the most fingerprints or are the most worn out. The Samsung has an optional double authentication (using two methods to unlock the door) and extra security features, like an alarm after five failed entry attempts and an alarm if the door is forced open without being unlocked first. ASecureLife’s recommendation: Because of the high cost and complicated installation, this door lock is best for commercial or multiunit residential buildings. Dimensions: 2.5 x 2.5 x 1 in. The Schlage B60N single cylinder deadbolt is affordable but highly secure. It’s resistant to lock picking, bumping, and tampering. It also comes with a reinforced strike plate and extra-long screws to protect against kicking in. ASecureLife’s recommendation: While there are no digital or smart features with this standard deadbolt, it’s an excellent manual lock that installs easily and fits all standard doors. We recommend it, especially in combination with the August Smart Lock Pro. Dimensions: 2.6 x 2.6 x 1 in. The Kwikset 980 single cylinder deadbolt is a close runner-up to the Schlage. It also has a top security rating and is resistant to lock bumping, picking, and drilling. It installs easily and fits most standard doors. However, it doesn’t come with a reinforced strike plate to strengthen the door against being kicked in. Kwikset’s SmartKey Security rekey technology allows you to rekey the deadbolt yourself easily. This means you won’t have to call a locksmith if one of your kids loses a key or a houseguest forgets to return a key. ASecureLife’s recommendation: This is a manual deadbolt that uses a traditional key, so no smart features are available. But it is an affordable, strong, and secure door lock option that’s easy to rekey. A double cylinder door lock must be unlocked by a key on both sides of the door—it has no thumbturn on the inside. While this design is more secure, it poses a safety hazard if you need to leave your home quickly (for example, in case of a fire). For that reason, double cylinder locks are best for doors with a window directly next to them. Since a key is required, a burglar cannot break the window and simply reach around to unlock the door. In this scenario, we recommend the Kwikset 985 Double Cylinder Deadbolt. 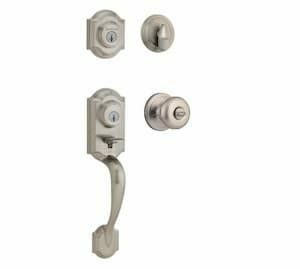 If you’re looking for both a deadbolt and door handle lock, we recommend the Kwikset 991 Juno single cylinder deadbolt and door handle combo. The deadbolt has a top security rating overall, and the handle has the top rating for residential door handles. Many other locksets have lower ratings for the deadbolt, so the Kwikset 991 Juno stands out. Both the deadbolt and the door handle come with Kwikset’s SmartKey Security rekey technology, allowing you to rekey them yourself and even to use the same key on both locks. Both are resistant to lock bumping, picking, and drilling. ASecureLife’s recommendation: If you want two locking points at your door, a deadbolt/lockset lock is your best choice, and the Kwikset 991 Juno has the highest security ratings available. 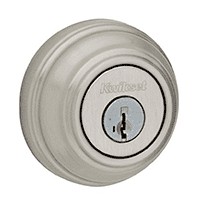 The Kwikset Montara has two parts that lock—the deadbolt and the door handle. It’s surprisingly difficult to find a handleset that locks, but it’s more secure, which is what makes us recommend the Montara. As with other Kwikset locks, both locking points are resistant to lock bumping, picking, and drilling. And both locks feature SmartKey Security rekey technology so you can rekey them yourself. 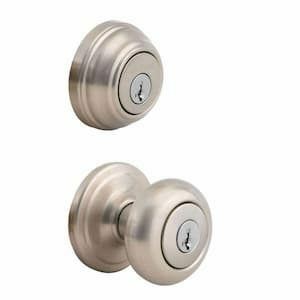 The Montara’s deadbolt has the second-best security rating and the highest rating for residential door handles, so it’s just about as secure as it could be. ASecureLife’s recommendation: If you’re looking for a locking handleset in addition to a secure deadbolt, we recommend the Kwikset Montara. Deadbolts have either a single or double cylinder—most exterior doors are predrilled for this type of lock. Biometric locks employ fingerprint scanners to identify users. Electronic locks use keypads, touchscreens, or similar methods that require a power source. Smart locks connect to your smartphone via Wi-Fi or Bluetooth so you can control them with your smartphone. Mortise locks are set into the door instead of attaching to the outside and are generally more durable and secure. Door knob or hand lever locks place the locking mechanism inside the door handle and are often used for interior doors. Consider adding another security item to your doors to boost your home’s security. Strike plates (where the deadbolt is housed when the door is locked) should be strong and installed with long screws to hold them in place. Extra door latches, such as chain locks or swinging bar locks, are inexpensive but add one more barrier to a forced entry. Door jammers, or security bars, are an even more effective way to prevent someone from entering your home. The grading system for a lock’s security comes from the American National Standards Institute (ANSI) and the Builders Hardware Manufacturers Association (BHMA). There are three rating levels that reflect the results of rigorous testing. Grade 1 locks have the highest level of security. They meet the requirements for commercial buildings and residential deadbolts (door handle locks can’t receive a Grade 1 rating). Grade 2 locks meet the requirements for light commercial buildings and exceed the standard for residential buildings. This is the highest rating possible for residential door handle locks. Grade 3 locks meet the minimum requirements for residential buildings. Many standard, simple hardware in a home are Grade 3. Make sure your new lock is the same size as your existing one so you don’t have to drill new holes in your door. You’ll need a screwdriver to install your new lock—you may also want to have a hammer, pliers, and a drill on hand just in case. If you have a smart home and want all the functionality of a Wi-Fi connected lock, we recommend the August Smart Lock Pro. If your needs are more simple and you need just a secure deadbolt, the Schlage B60N is our favorite standard lock with its reinforced strike plate and extra-long screws. Already have home automation in place? Try a smart lock with a Z-Wave connection. Not interested in building a smart home? Make sure your deadbolt is strong and reinforced. Whatever you need, we suggest upgrading to the most secure door lock you need. >>On Amazon Find the August Smart Lock Pro and Schlage B60N Deadbolt.